It has only been a few months and a handful codename changes since we had that discussion (For a humorous history of Silverlight’s codenames, check out Tim Sneath’s blog.) , and despite a number of obstacles, we’re getting there with the Alpha release of Silverlight v 1.1. And while I’m by no means a Silverlight guru, I have been using it for a little while now and I thought I’d shed some light on what’s out there for VB developers who are interested in trying out Silverlight v1.1. Late Binding: One of the most definitive features of the VB language, I find late binding to be especially useful in writing Silverlight code-behind. 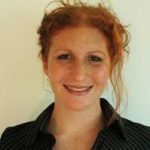 Conversions: Implicit and explicit conversion operators are available—Ctype, CStr, etc. Constants: vbCrLf, vbTab, etc. Some of the more obscure constants have been removed, but the core set is included. The My Namespace: We removed this for Alpha release because much of the existing My Namespace doesn’t make a ton of sense in Silverlight. XML Literals: The compiler support for XML literals is present, but System.Xml.Linq (which the feature depends on) is not available in Silverlight 1.1. ‘ Anonymous delegates, Handles–isn’t it pretty? All in all, this particular example looks and feels pretty VB to me—which isn’t to say we’ve nailed it by any means… but the example does give some indication as to the type of VB experience we’re striving for with Silverlight. Let us know what you think. Unless you’re really into notepad , download the tools for Silverlight. The VS project templates alone are worth the bandwidth required, as they’ll get you started in the right direction. In addition, many of the more interesting things you can do with Silverlight (e.g., animations, embedding videos, etc) are pretty tedious to wire-up by hand in XAML; using Expression Blend makes the process *much* easier. All of the components mentioned below are available at: http://silverlight.net/GetStarted/. I’ve just included them here for convenience. Silverlight 1.1 Runtime: This is the version of Silverlight that enables you to write VB code-behind. It includes a version of the factored .NET Framework, including the VB runtime (Microsoft.VisualBasic.dll). VS Orcas Beta 1: Note: You need to have the official Orcas Beta 1! Earlier CTPs won’t cut it. Even if you choose not to use Visual Studio to do your development, you’ll need the Beta 1 VB 9.0 compiler, as it includes some changes required to target the slimmed-down .NET Framework. 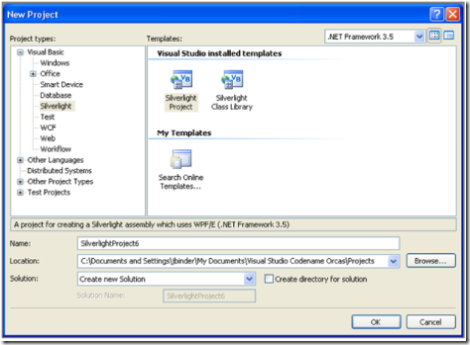 VS Add-On for Silverlight: This component provides some project templates and IDE changes for building Silverlight applications in VB (and C#). Silverlight SDK: The most interesting content in the SDK is the reference documentation for the VB runtime. It basically details what functions and types in Microsoft.VisualBasic.dll. The download also includes samples, although I generally prefer to see them online here: http://silverlight.net/quickstarts/managed.aspx. If you run into any problems getting this stuff installed, please post the problem at the forums, http://silverlight.net/forums/. Navigate to Program FilesMicrosoft ExpressionBlend 1.1. Create a new XML file in that folder and then rename the file to Blend.exe.config. Paste the following XML snippet into Blend.exe.config. Save Blend.exe.config and close it. Open Microsoft Expression Blend. Select “Visual Basic” as the language and you can create “Silverlight Application” projects. Just keep in mind that if you uninstall Orcas and you want to continue using Blend, you’ll need to delete Blend.exe.config. You’re pretty much good to go at this point. With the installation of the Visual Studio Add-On, two new project types are available: a standalone Silverlight Web Application and Silverlight Class Library. The programming model for Silverlight 1.1 is very similar to that of ASP.NET and WPF: the UI aspects of the control are declared in the .xaml file, and events are handled in the code-behind (.xaml.vb) file. Similar to desktop WPF, each named UI element declared in XAML has a corresponding variable that can be referenced in code-behind. If you’re interested in checking out what’s available in the .NET Framework for Silverlight, you can poke around in the Add Reference dialog and/or Object Browser. The former is filtered to only show what you can use in Silvelight 1.1. The Silverlight tools are very much in an Alpha state, so your mileage may vary a bit. In particular, debugging VB applications can be a somewhat bumpy ride… so please let us know on the forums if you run into any issues. There are already some pretty vibrant community resources on Silverlight popping up. Many of these include sweet looking samples, and the amount of content should continue to grow in the coming months. The main place to keep an eye on is the main Silverlight site and the Silverlight forums. By all means, feel free to share your impressions of VB on Silverlight. It’s early and we could really use the feedback. Thanks!